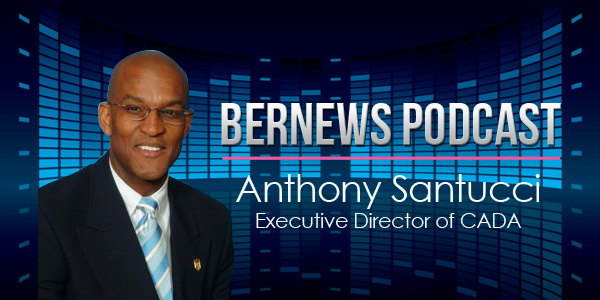 In the latest Bernews podcast, we speak to Anthony Santucci, the executive director of CADA. He likens Bermuda’s relationship with alcohol as like a bad marriage, “we keep tumbling further and further in, like falling into an abyss”. Mr Santucci says drinking – particularly drinking and driving – is socially acceptable “by the community at large”. He talks about worrying trends in the numbers and ages of young people who are drinking and how figures show that Bermuda imported 6.5 million litres of alcohol. In addition, Mr Santucci wants to see social hosting legislation introduced which would make it illegal for an adult to give alcohol to a child staying at their home. “Our children are amazing vessels. It is not what we say, it is what we do,” said Mr Santucci. Mr Santucci also touches on reducing the drink-drive limit which Government promised to do but has yet to implement. How can one be passionate about a topic when they continuously receive funding from the same companies who cause the issue he is campaigning against? I don’t understand that. Still kicking the random road side test can down the road ! Still kicking the random roadside test can down the road ! CADA new a new direction on how they are approaching this issue.. I do congratulate Mr.Santucci for his bold and impassioned stand on alcohol related offences but,I wish that he would broaden his concern to include drugs also.Even legal drugs administered incorrectly.and unwisely.can make one incoherrent,unable to function in or on vehicles.Il-legal drugs is double jeapordy/and twice as offensive and unacceptable.Barbituates such as marijhuana,cocaine,crack ,uppers and downers,can an do create as many problems for the society at large as alcohol drinkers.They call them wreck-reational drugs.Alcohol is called So/shall drinking ,bottoms up and thats where they all end up,one way or the other.Go figure.Peace. Haven’t had time to listen to the podcast, but the report underscores a long term concern I have voiced in the past. Bermuda’s relationship with alcohol dates back almost to its founding. Our economy was built on alcohol, and alcohol is the most potent gate-way drug out there. This country as a whole behaves like the classic Adult Child of an Alcoholic (google the Laundry List of ACA). In my other life as an addiction counselor, I noted that almost every one of my clients had started with alcohol and 99.9% relapsed first to alcohol before moving back to their drug of choice. I could write a treatis on this topic, in fact, at one stage I thought I would write my doctoral dissertation on The Impact of Alcohol on a Remote Island Nation.